Here's the breakdown of this month's changes. The changes are pretty clear this month. Both versions of Nougat are up slightly, with a total share of 15.8%. 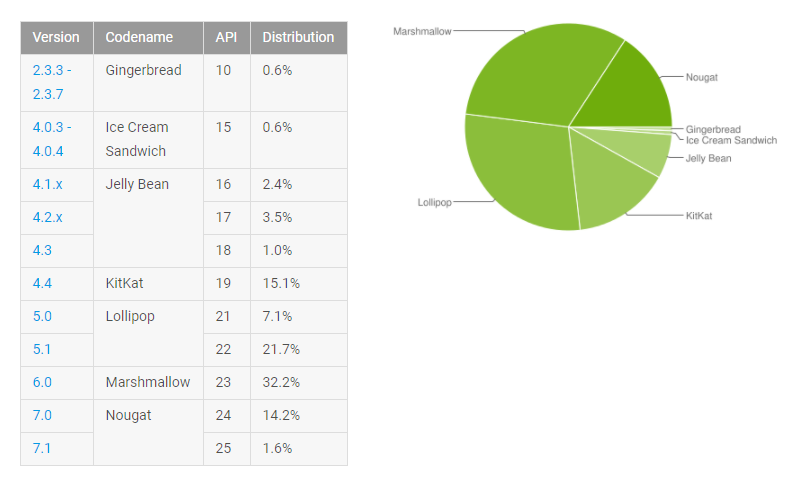 That's still tracking almost three percent behind Marshmallow at this time last year. Every other build is down less than a percent, including Marshmallow. That version was still gaining as recently as last month. Oreo started rolling out to Pixel and Nexus devices a few weeks ago, but it hasn't hit the requisite 0.1% share to appear on the list. If history is any guide, it'll be another month or two before that happens. Hopefully Project Treble can speed things up in the future.